NINE sets of business matching activity was done between businessmen from Malaysia, Indonesia, and the Philippines particularly on tourism, agriculture, and mining during the Bimp-Eaga Business Council (BEBC)-Mindanao Private Sector Business Networking Session last Wednesday, January 10, at the Waterfront Insular Hotel. According to Bureau of Customs Davao District Collector Dino Austria, who was one of the Filipino delegates, the session was attended by 34 representatives from Brunei Darussalam, Malaysia, Indonesia, and the Philippines and was noted to be the biggest BEBC networking session so far. One of the highlights of the event was the business matching by these foreign businessmen with the Filipino businessmen from the different parts of the country. Indonesian representatives were noted to be looking for import potentials of frozen fish, copra, charcoal shell, dry corn, and frozen boneless fish, crab, claw, and crab meat. They were matched with Filipino businessmen who are into production of coconut and by-products, agribusiness and chemicals, and import and export of agro-marine products. Malaysian representatives, on the other hand, were looking for agri-tourism investment in Sarawak, Malaysia including homestay programs in rural areas, pineapple MD2 planting materials, canned pineapple, coconut hybrid planting materials, coconut by-products, fresh and frozen seafood, coal and gold mining, LPG distributor, and shipping and logistics. 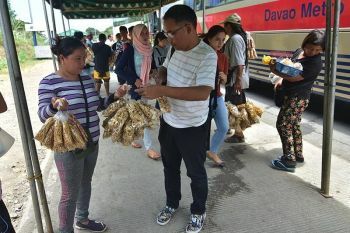 They were matched with the different travel and tours representatives from Davao City, the Davao Tourism Association (DATA), and businesses in the country who are also into agriculture trade and mining. “From the eyes of a businessman, duties and taxes are trade barriers. 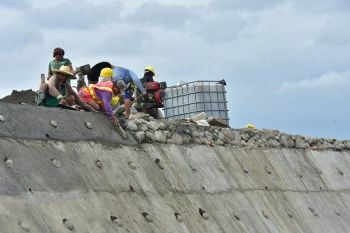 What they want is for these duties and taxes to be decreased but then this is something that they will have to tackle with the senior officials’ level of the BIMP. But nevertheless, the movement of the Asean is to remove the tariff rates. What we want is to eventually make it zero tariff, or free trade zone, similar to Europe,” said Austria adding that during the session, the foreign representatives expressed interest through trade custom procedures inquiries addressed to BOC.